For the second year, the Asian Fashion Meets Tokyo (AFMT)–Philippines edition came to a rousing finish with a highly successful, SRO fashion show featuring the collections of three young and very talented designers: Carl Jan Cruz, Karen Topacio and Seph Bagasao, alongside Filipino retail giant Bench. 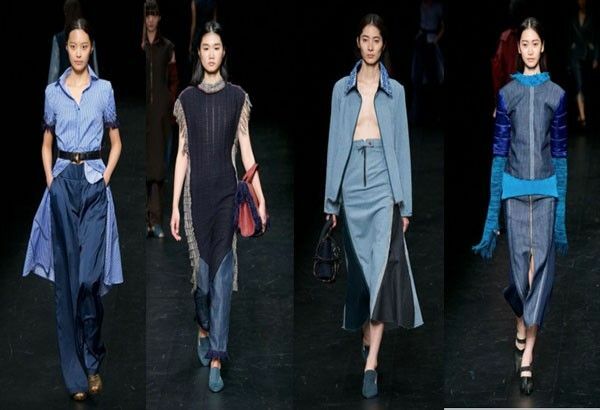 The show, held during the recently concluded Amazon Fashion Week Tokyo, was the highlight of a 10-day program organized by the Overseas Human Resources and Industry Development Association (HIDA), a government agency in cooperation with the Japan Fashion Week (JFW) organization. 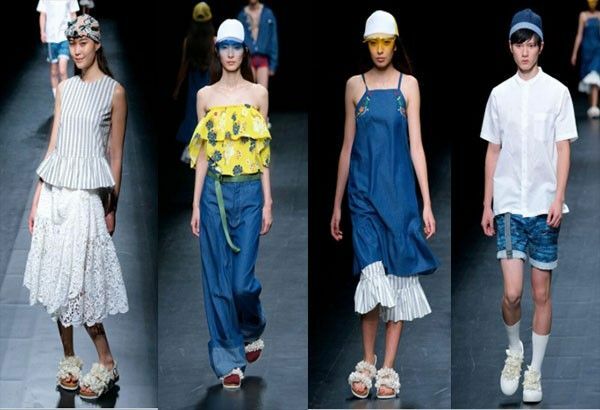 The project was developed to foster new fashion talents in Asia and give them a platform to showcase their designs and introduce their brands to the Japanese market. With the generous support and participation of Bench, this year’s show was bigger, attracting a crowd of more than 500 comprised of Japanese and foreign fashion press, style influencers and personalities, fashion-loving locals, expatriates and Tokyo-based Filipinos. 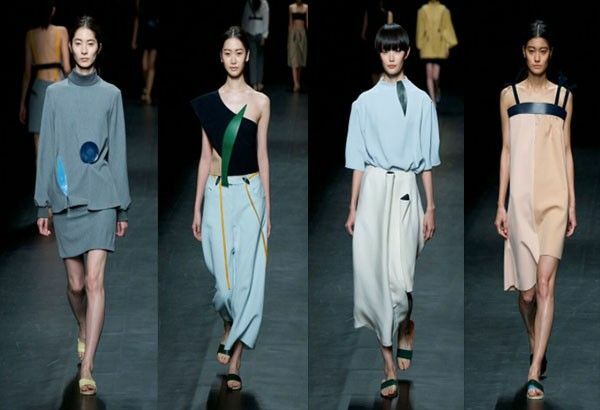 The runway and backstage press coverage surpassed last year’s, with Sara Maino of Vogue Talents sitting front row, together with Misha Janette, Tokyo fashion blogger and Bureau of Fashion’s #500, to name a few. When JFW asked me last year to consult and liaise for this project, I did not think twice. During prior conversations with JFW’s Akiko Shinoda while covering Fashion Week Tokyo, I expressed my wish to see Filipino designers one day take part in the weeklong fashion event. Little did I know that it was going to happen sooner rather than later. Last year, I reached out to friends who believed in the merits of the project for support; this year, I wanted to find someone in the fashion industry who shared the same passion I did in promoting and supporting Filipino talents. I found this in Ben Chan, owner of Bench. Known for his big heart and generous spirit, Ben did not require much convincing to be part of the “Asian Fashion Meets Tokyo” project. His brand Bench, which will celebrate its 30th anniversary next year, has had numerous collaborations with Filipino designers and AFMT — the Philippines seemed like a natural progression towards his vision to #lovelocal, go global. The three young designers wowed the crowd with their individually strong collections of conceptual clothes with hints of Filipino influences, both modern and traditional. “I am very happy to be a part of this amazing project and be able to support our young Filipino designers,” Ben Chan said during the press conference with Carl, Karen and Seph after the show at Hikarie in Shibuya. “Hopefully it won’t be the first and the last,” he added. What with the treasure trove of talents we have in the Philippines. Follow me on Instagram @tettaortiz. The leading casualwear brand in the Philippines was all about resort for spring/summer 2017. The collection of fun, easy-to-wear separates paired with embellished sandals has summer glamping written all over it, whether on the beaches of Boracay or the island of Okinawa, where Bench is slated to open its first Japan-based store in the first quarter of 2017. This Paris-based designer, who was a top 20 finalist for the coveted LVMH Prize for Graduates in 2015, took inspiration from a recent trip to the Philippines. Using supple fabrics in nature’s colors, she cut and sewed them into graphic modern shapes, then accentuated them with bold, laser-cut leather details mimicking the shapes of tropical leaves — a nod to both the country’s city and island landscapes. Her approach to dressing is very fresh, sophisticated and utterly feminine, a winning formula that expresses her organic aesthetic in wearable pieces and separates. 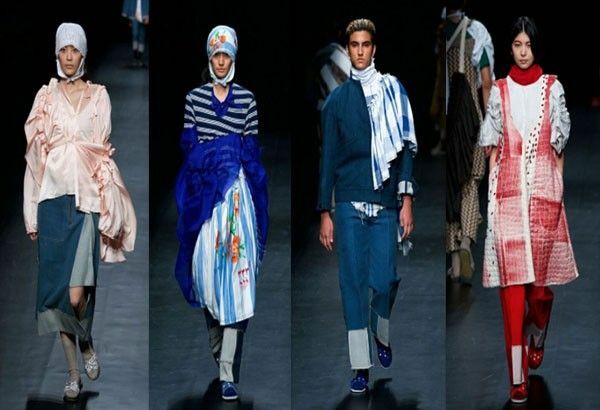 The London College of Fashion graduate who once worked for Celine showed a predominantly denim collection in various shades mixed with elements from his childhood such as the striped and floral-printed blankets and tsinelas (slippers) commonly found in local markets. Styled for maximum impact on the runway, the clothes, when taken apart and examined as separate pieces, are masterfully cut and sewn jackets, tops, pants and skirts that are asexual in fit and appeal but luxurious to wear. Clearly, the designer wanted to convey a hint of nostalgia in the collection but don’t mistake it for “old” because in totality, it was very avant-garde. This Fashion Design and Merchandising graduate from the Fashion Institute of the Philippines is both a womenswear and bag designer. Seph, who worked with Josie Natori until he established his namesake brand, is all about duality when it comes to design. For this collection, he expressed this through fabrics and textures, in somber color mixes of very linear and sinewy silhouettes. His accessories are functional but the flaps, panels and accents found in and outside the bags bring a surprise that gives the bags extra style mileage. While playful and casual, his clothes and bags carry a seriousness about them that signals he has arrived as a designer and intends to stay. #LoveLocal meets #kawaii in Bench's spring/summer 2017 collection. Bench’s fun collection of easy-to-wear separates paired with embellished sandals has summer glamping written all over it. Karen Topacio, a top 20 finalist for the coveted LVMH Prize for Graduates in 2015, took inspiration from a recent trip to the Philippines, cutting fabrics into graphic modern shapes, then accentuating them with laser-cut leather details mimicking the shapes of tropical leaves. 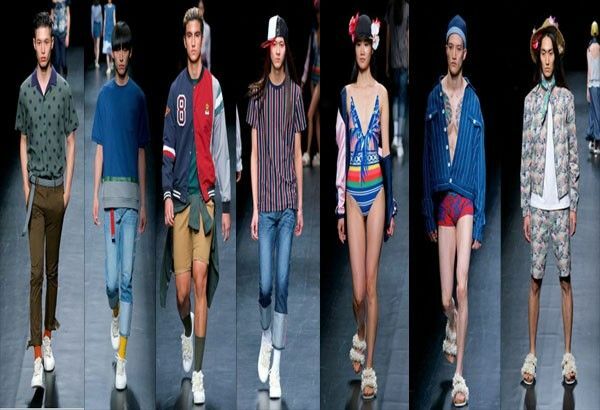 Carl Jan Cruz, who once worked for Celine, showed a predominantly denim avant-garde collection mixed with elements from his childhood such as striped and floral-printed blankets and tsinelas. Seph Bagasao, who worked with Josie Natori until he established his namesake brand, expressed duality through fabrics and textures, in somber color mixes of very linear and sinewy silhouettes.